Posted by Patrick on July 2nd, 2015 in How Should I Participate? On Monday, Fifty Shades of Grey author E L James participated in a Twitter chat, hosted by @TwitterBooks, using the hashtag #AskELJames. “It went horribly, horribly wrong,” writes BuzzFeed. USA TODAY says it was “catastrophic.” The Yahoo! News headline reads: “Twitter users eviscerate … James in Q&A.” That’s only the tip of the iceberg for media coverage. There is even a local news story about a Twitter user who received a lot of retweets. What does this say about how we measure the success of a Twitter chat? And who should hold one? Should a celebrity or major brand ever create or endorse a hashtag? After all, hashtags can be used by anyone. Even if you host a Twitter chat without a hashtag, people can just use Twitter search and/or create a hashtag of their own, which others may adopt. Less likely, but possible. Then what? Twitter chats won’t work for everyone. For some, it might just be better to answer selected questions at random, rather than giving everyone, including your detractors, a time frame and hashtag to focus on. 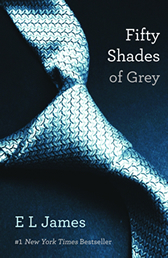 However, I don’t necessarily think the E L James Twitter chat was a bad idea or a failure. I feel like some perspective might be necessary here. This is where filtering comes in. On a platform where anyone can jump in, you focus on the people you are there for, because it creates value for them. James received a lot of questions via Twitter – positive, negative, serious and not-so-serious. There were questions from fans. There were questions from people not happy with her, including criticism that was stated respectfully. There were also personal attacks, vulgar and rude comments and, of course, trolling. But, from what I can see, James received plenty of answerable questions and, by my count, she sent more than 80 messages during the chat. That is more than many celebrity Twitter chats I have seen. She seemed to have had a perfectly good time interacting with fans of her work. If we accept that as true, how do the negative or critical tweets affect it? Does it mean that the fans she interacted with aren’t over-the-moon excited and possibly cemented as lifelong fans? Do negative tweets mean that the chat itself was a “disaster,” as E! Online put it? That she should never do a Twitter chat ever? Who Can Host a Twitter Chat? If this is the standard for a successful Twitter chat and whether or not you should participate in one: who exactly can host one? Not politicians. Not the most popular music artists. Not most celebrities period. Perhaps only the squeakiest clean “it” person of the moment, that steers relatively clear of controversy? It’s not a long list. Unless our idea of a “successful” Twitter chat can change, perhaps no public figure should ever host one. You have to be very non-controversial. Even then, it’s not enough, because people will ask you why you aren’t using your platform to talk about issue X and, when you take a stand on issue X, you’ll be alienating part of your fan base, which will then cloud your future Twitter chat. It’s a fun cycle. Even if you don’t follow baseball, you probably know who Derek Jeter is. When he retired last season – and for quite a while before that – he was seen as the face of the game. In an era marred by steroids and performance enhancing drugs, Jeter managed to stay above the fray and is almost universally seen, by his peers, as someone who played the game the right way. Off the field, much of the same. No arrests, no drunk driving, no spousal abuse. But when you are that clean, people want the bad stories even more. Over the years, there have been plenty of them, usually in the less credible circles of journalism. An anonymous source (of course!) told the New York Post that, following a one night stand, Jeter will give his date a gift basket with autographed memorabilia. Of course he does. Anyone who doesn’t want to like Jeter will buy that one. Then there was a very “viral” story about his supposed preference for a certain sexual act. Gawker’s Deadspin (NSFW) reported this one, screenshoting a text message which they introduced with: “This gossip is likely no more true than similar stories we’ve come across in the past, but we really, really want it to be true.” Classy. Speaking of athletes, can you imagine if football player Tom Brady held a Twitter chat? It would be full of questions about Deflategate and “funny” people making jokes about air deflation. I’m sure people would also make comments about his wife, former Victoria’s Secret model Gisele Bündchen. I guess he should never do a Twitter chat. Even though he has plenty of fans who would love it. A Twitter chat held by a politician will always be a mess. Presidential candidate Bobby Jindal is the example of the day. Though I think it would have been a lot better if he had been on Twitter answering questions, instead of taking them at a town hall event. There surely were some serious questions, and he could have spotlighted them and answered them. Or he could have answered some of the more serious criticism that was respectfully phrased. It is possible that there were points to be won. Politics is always divisive. President Barack Obama’s Twitter chats tend to received positive press, but I doubt that has much to do with a lack of criticism and disrespectful comments. That could mean that the people writing these articles have more respect for the president or respect for the office. Obviously, bias does enter into his these things are covered. It could be that people are just so expecting of that criticism that it isn’t newsworthy, but then, who wouldn’t expect criticism of E L James? Go to Twitter and type in the name of a really big celebrity that you are a fan of. Click the “Live” Twitter search. See what people are saying about them. It’s a little surprising to see just how many media outlets are covering the E L James Twitter chat, all focused on how bad it supposedly was. It’s not just random blogs and outlets no one has ever heard of. The Washington Post, Huffington Post, USA TODAY, The Guardian, TIME, NBC News, The Telegraph and countless name publications. Is it that big of a story? E L James is an easy target. That she has been so successful, that she has been so controversial and that plenty of people do not like her, is why we’re here. It’s generating a ton of pageviews for media outlets. It’s like if Kanye West held a Twitter chat. Personally, I’m not a fan of James. I just don’t have much of an opinion about her. But I’m a big fan of Kanye, and I’d enjoy a Twitter chat. However, the hashtag would be full of trolling, random hatred and fair criticism. Likely even worse than James. The media would cover it just the same. Net result: no Kanye West Twitter chat for me. Oh, @E_L_James , can we do a #askElJames kind of thing, please? @RhiAnima @E_L_James I don’t know abt that! But I sure did jump up & down when I saw my wish coming true! Anyone who says that James, her team or Twitter Books didn’t expect this sort of response is probably wrong. James and anyone working with her is certainly used to this, by now. Her series of books is highly controversial and one of the best selling book series of all-time. The film adaption, just as controversial, brought in more than half a billion dollars in revenue. She knows that a lot of people are critical of her work, and she knows the reasons. In which case, she and/or her team simply looked at the opportunity of a Twitter chat, weighed the pros and cons and decided to do it. Was it a positive or negative? Don’t be so sure it was a negative. The first use of the #AskELJames hashtag was a fan, asking her to do a Twitter Q&A. The things that some Twitter users said to James are nothing she and her biggest fans haven’t heard before. There’s nothing new here. The people who don’t or wouldn’t have liked James – they still don’t and won’t. On the other hand, if you were a fan or could become one – you still are and still might. She was able to interact with fans and generate a ton of press coverage, which doubles as promotion for her new release, Grey: Fifty Shades of Grey as Told by Christian. Sounds like it went alright. ManagingCommunities.com Live Video Chat Event(s)? I’m sorry but you’re expelled from the internet. The correct use of logic is forbidden in these parts and you, as such, are now an outsider. You’re right, of course. Every celeb Twitter chat would go like this. So would any non-celeb doing a chat. “Who are you?” “Nobody cares.” “If #somenobody had a Twitter chat, would anyone see it?” So celebs are out. Regular people are out. Haha. Scared me for a second there, Mr. Antonino. Thanks.